Have you seen RadiWarm® featured at the Ideal Home Show? Want to know more? Enter your details below to download our full RadiWarm® Brochure, including a sizing guide so you know what Pipeless Radiator you need to buy for your property. 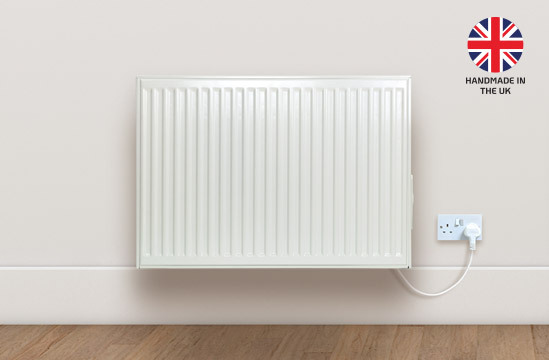 ‘Pipeless Radiators’ combine the heat quality of gas central heating systems with the simplicity of electric heating. 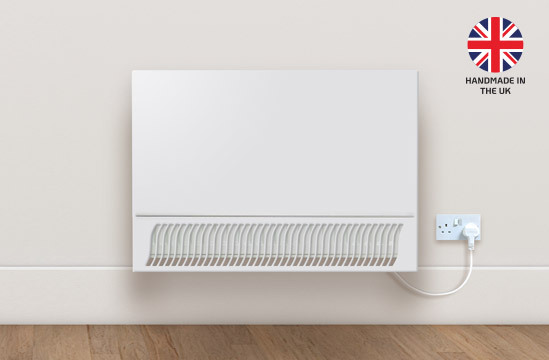 Each water-filled radiator looks like a conventional radiator but hides an internal energy-efficient boiler and pump, transforming it into a self-contained heating system. The RadiWarm® has 100% efficiency. Once a room reaches the desired temperature, the RadiWarm’s Smart Heating software will switch to eco-saving mode to maintain ambient room temperature – only needing to pull electricity when required. Match your heating to your lifestyle. Select our wireless 7-day remote control unit to programme your radiator with up to 6 programmes a day, or upgrade to our Smart Controller to manage and control your heating remotely over the internet from anywhere in the world! The half-sized RadiWarm® is specially sized to fit lower conservatory walls. If you need to heat your conservatory space then there really is no better option on the marketplace. Will also fit under-window spaces in other areas of your property. 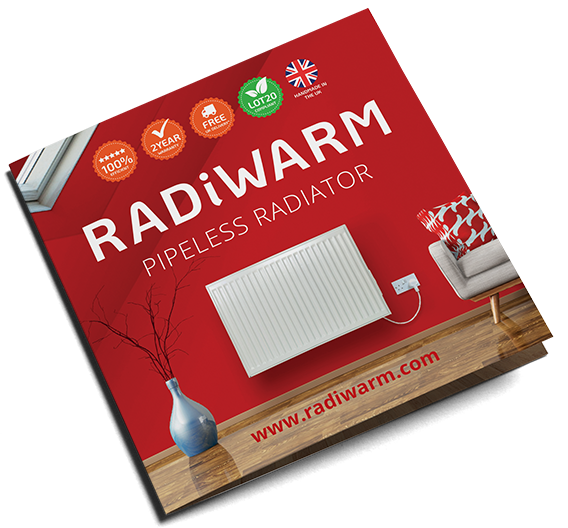 RadiWarm Pipeless Radiators® saved our tenant over £350 in heating costs last year. With over 20 years in the industry, the RadiWarm® is the best heating system we have come across. The Pipeless Radiators arrived yesterday afternoon. All four have been installed and are working well. We are exceptionally pleased that we have chosen RadiWarm®. I would just like to say thank you for your company's very quick delivery of my mother's RadiWarm®. Very impressed! It’s up and running now. Thanks again. If you need permanent heating in a space where plumbing or a gas supply is not an option, the RadiWarm® is the best and most efficient solution. Where you may have children or vulnerable adults, the RadiWarm®Safe Touch gives the same quality of heat but with a protective low-temperature cover.